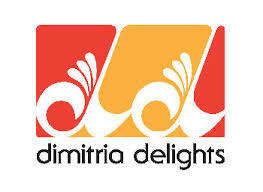 Dimitria Delights | Favorite Foods, Inc. In 1972, in the city of Worcester, Massachusetts, John and Mary Colorio began their small family business with a dream to market an old family recipe for spinach pies. Dimitria Delights was born and John and Mary began to sell their spinach pies to independent grocers and supermarkets throughout New England. Over time, as demand for other fancy frozen pastry products surfaced, Dimitria Delights expanded to selling bulk frozen layered dough. Next, we added a full line of frozen, ready-to-bake pastries. Then, in 1995 a full line of baked, frozen, and thaw and serve bakery products were introduced. Dimitria Delights’ growth has been nothing less than phenomenal. Today we manufacture in North Grafton, MA. We produce over fifty ready-to-bake, and thaw-and-serve bakery products. We also supply private label and specialty items to select customers. Most recently, we have expanded into the retail pastry market. In November 2001, Dimitria Delights broke ground on a new 20,000 sq. ft. addition to its North Grafton facility. Still family owned and operated, Dimitria Delights offers its customers the highest quality bakery products at very affordable prices. Today, Dimitria Delights sets the industry standard for quality and innovation in the Northeast.